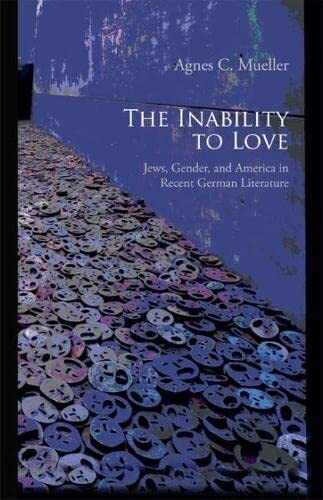 The Inability to Love borrows its title from Alexander and Margarete Mitscherlich's 1967 landmark book The Inability to Mourn, which discussed German society's lack of psychological reckoning with the Holocaust. Challenging that notion, Agnes Mueller turns to recently published works by prominent contemporary German, non-Jewish writers to examine whether there has been a thorough engagement with German history and memory. She focuses on literature that invokes Jews, Israel, and the Holocaust. Mueller's aim is to shed light on pressing questions concerning German memories of the past, and on German images of Jews in Germany at a moment that is ideologically and historically fraught. <strong>Agnes C. Mueller</strong> is a professor of German at the University of South Carolina. She is the editor of <em>German Pop Culture: How &#x201c;American&#x201d; Is It?</em> (2004).